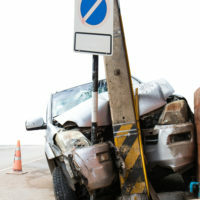 The National Highway Traffic Safety Administration (NHTSA) has released its annual reports on the number of fatalities on US roads in the previous year and the perceived causes. The reports show that the US has experienced yet another year of rising roadway fatalities, with many experts blaming distractions from cell phones as a leading cause of the spike. The report recently released by the NHTSA states that 37,461 people were killed in car accidents across the US in 2016. This marks an increase of 5.6% in fatalities from 2015, and the highest fatality rate overall since 2008. On an average day in 2016, 100 people died nationwide while in or near a motor vehicle. Between 2014 and 2016, the traffic fatality rate has increased by a staggering 14.4%. One of the most concerning rises in fatality rates is among non-vehicle occupants, which include bicyclists, motorcyclists, and pedestrians. Almost 33% of all traffic fatalities consisted of non-vehicle occupants in 2016, while in 2007, this number was only 25%. Pedestrian deaths have made a particularly precipitous rise in recent years. Nearly 6,000 pedestrians were killed in traffic accidents in 2016, which is an increase of 1,100 deaths since only 2014. Since 2014, deaths among bicyclists and motorcyclists have also increased by about 15%. According to the NHTSA’s official reports, distracted driving went down last year. The federal agency attributed 448 fatalities to accidents caused by mobile phone distractions, and considered distractions generally as causing 9.2% of all motor vehicle accidents. However, many safety experts take issue with this conclusion. Among other things, these experts cite the types of fatalities that are increasing as evidence that distraction plays a larger role than the NHTSA reports. For example, more people are dying in accidents that occur while they’re driving straight down the road, which implies that the drivers simply weren’t looking at where they were going when the crash happened. Additionally, the increase in non-vehicle occupant deaths also shows an increase in mobile phone distraction, since drivers are more likely to miss a smaller object like a pedestrian or bike when only quickly scanning the road in between looking at their phones. The National Safety Council claims that, according to its research, only about half of all accidents where phones were a known factor in the crash are classified as such in the NHTSA’s report. New York drivers or pedestrians who are injured by a distracted driver may have the right to file a claim for damages against the negligent and reckless driver who caused the crash by illegally using a phone while behind the wheel. If you’ve been injured in a crash in New York and need help getting the money to which you’re entitled as a result of your injuries, get a free evaluation of your case from Manhattan’s skilled and knowledgeable personal injury lawyer Leandros A. Vrionedes, at 212-889-9362, or in Queens at 718-777-5895.